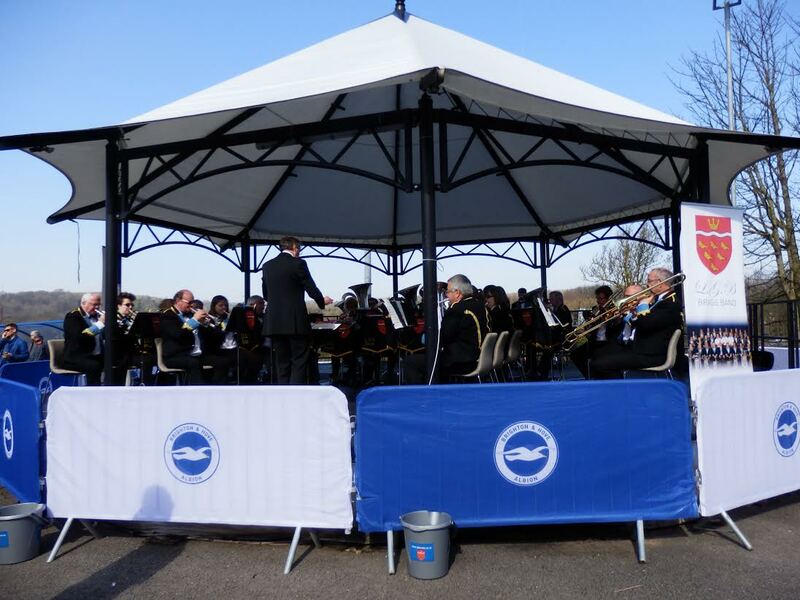 Lewes Glynde and Beddingham Brass enjoyed a cracking day in the sunshine at the Amex Stadium on the 2nd of April, becoming the first brass band to play at the stadium’s bandstand since its inception in 2014. 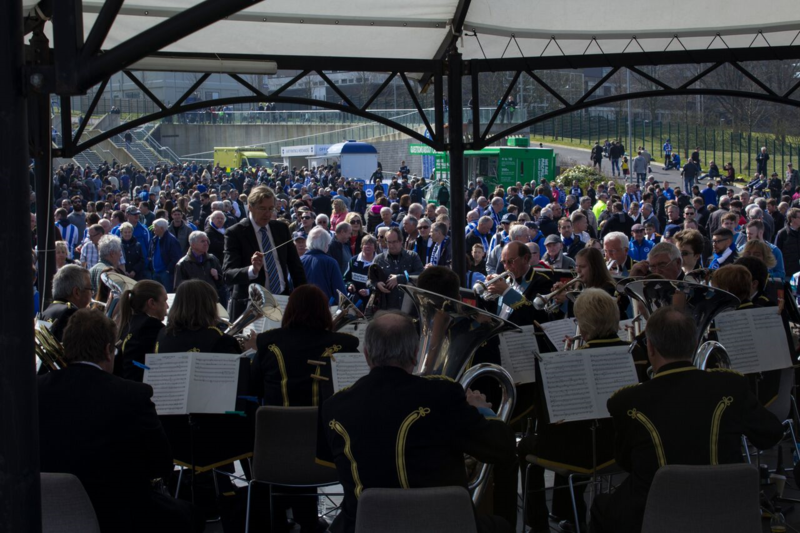 We played to our biggest crowd of the year with over 15,000 supporters passing the bandstand. Those there early to support the Seagulls against table-topping Burnley, were treated to some entertaining and stirring brass band music chosen to reflect the occasion. 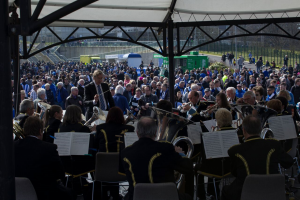 LGB naturally topped and tailed their programme with renditions of Sussex By The Sea – the ‘anthem’ of the football club – helped by many hundreds of singing supporters. We hope to see you all again next season!